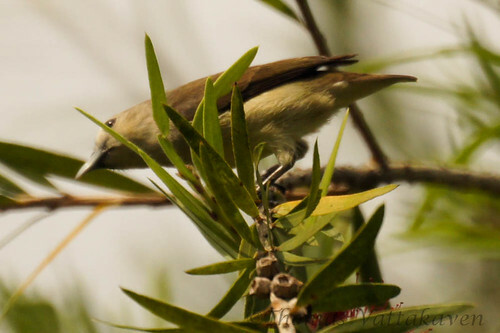 The Plain flowerpecker (Dicaeum concolor) is a tiny bird that frequents the flowering trees in Karimannoor. They possess a feathery tongue with which they are able to sip nectar from flowers. However, they also feed on fruits, insects and spiders. 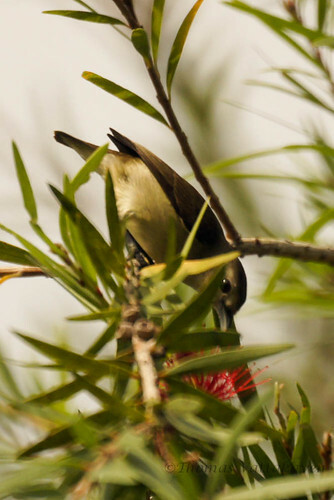 Being a flower feeder makes them important agents of pollination among the flowering trees. They are quite restless, usually seen singly in treetops, but also forages down low. 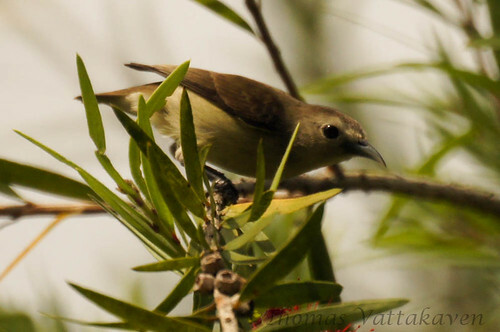 This species is very similar to the Tickell’s flowerpecker but that species has a lighter coloured beak. 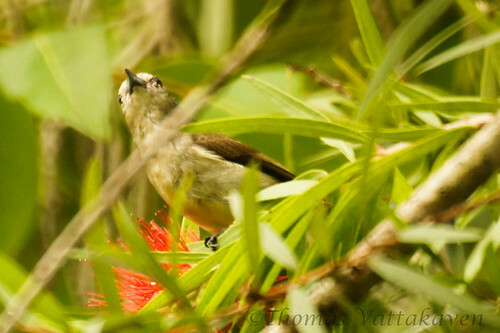 I spotted this bird on a Bottlebrush tree (Callistemon species), foraging for nectar among the flowers. 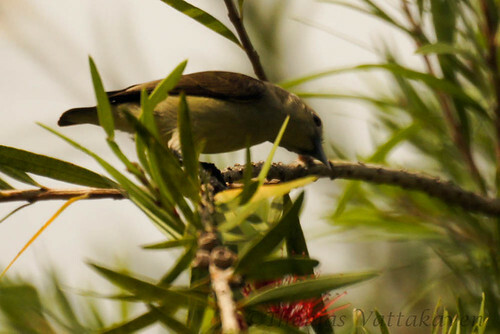 The tree was just above the nest of a Purple-rumped sunbird. 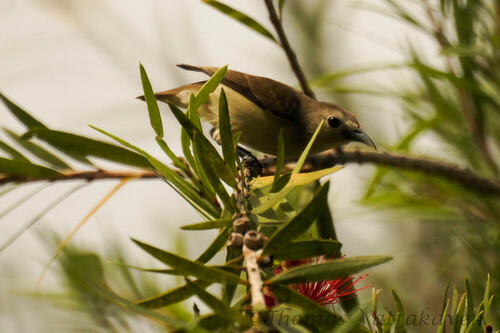 After a while the sunbirds got agitated and chased the flowerpecker away. 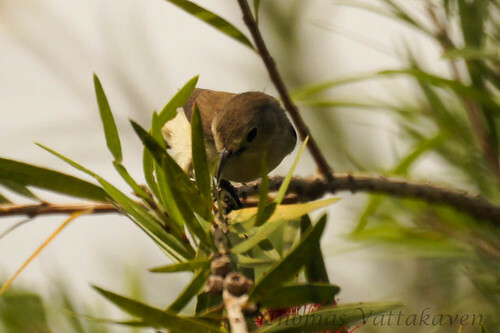 Those are great shots of the Plain Flowerpecker Thomas! We used to have a bottlebrush in our yard buy the snow got to be too much for it. The hummingbirds went crazy over those flowers.